136 Brandon Town Center Dr. They have gluten free menu, I can’t seem to find it online. 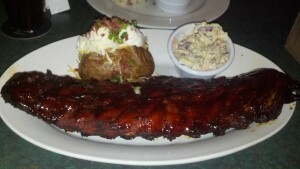 I got the ribs and they were the largest ribs I have ever had. It was a good meal.